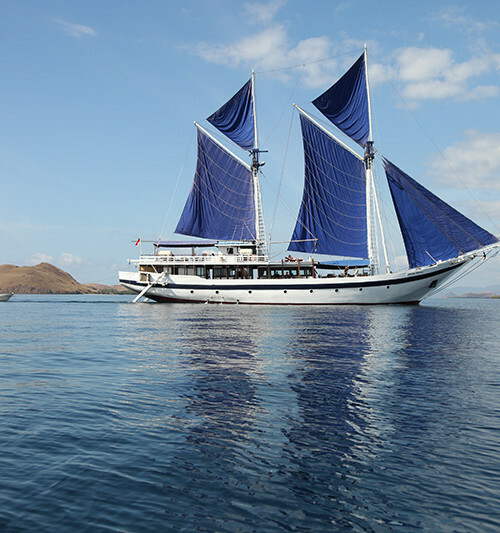 Cruising to Komodo is once in a lifetime experience. We invite you to immerse yourself in the Komodo National Park and Indonesia’s Lesser Sunda Islands from an intimate perspective, cruising through a panorama of islands and encountering new wonders on a daily basis. 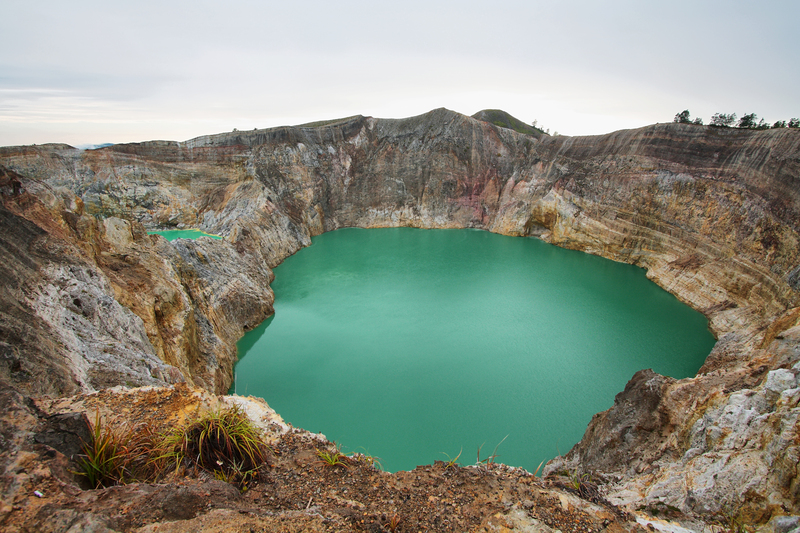 This adventurous, eight-day inclusive voyage of discovery aboard the 24-passenger Ombak Putih or the 12-passenger Katharina offers a cross-section of remote beaches, quiet coastal villages, jungle-clad mountain ranges, towering volcanoes, rivers, waterfalls, tribal rituals, a mysterious lake, and the legendary Komodo Dragons. There will be ample opportunity to snorkel and view the kaleidoscopic beauty of the underwater world. Unlimited use of the stand-up paddle boards and sea kayaks on board will add yet another dimension to your nature explorations. 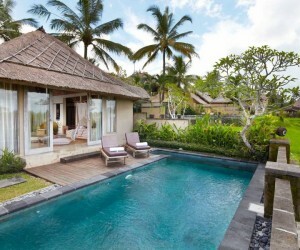 In the morning you will all meet at the Puri Santrian Hotel in South Bali before boarding our minibus for our destination of Amed in the eastern regency of Karangasem – an exotic royal Balinese kingdom of forests and mighty mountains, emerald rice terraces, mystical water palaces and pretty beaches. With the tour leader providing information along the way, you will stop Tenganan Village, a community that still holds to the ancient ‘Bali Aga’ culture with its original traditions, ceremonies and rules of ancient Bali, and its unique village layout and architecture. We’ll also visit the royal water palace of Tirta Gangga, a fabled maze of spine-tinglingy, cold water pools and basins, spouts, tiered pagoda fountains, stone carvings and lush gardens. The final part of the scenic journey takes us through a magnificent terrain of sculptured rice terraces followed by spectacular views of a fertile plain extending all the way to the coast. 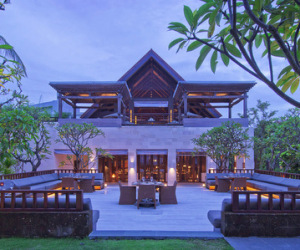 Guarded by the mighty volcano, Gunung Agung, your charming beachside hotel welcomes you with warm Balinese hospitality and traditional architecture, rich with hand-carved ornamentation. After checking in, you can relax and unwind with a swim in the pool or in the calm, clear waters lapping the shore just footsteps from your room. Or you may prefer a gentle walk, in the surrounding village and hillsides. This will also be an opportunity for those unfamiliar with snorkelling to have a lesson with the tour leader. In the evening, take time to get better acquainted with your fellow guests in preparation for the voyage ahead with sunset drinks in the seaside bar and a Balinese-style welcome dinner. After a leisurely breakfast and maybe an early morning swim you will be transported short distance to the boat, which will be waiting at anchor in the bay. Getting up early to see the sun come up with the boat in the background is something rather special. 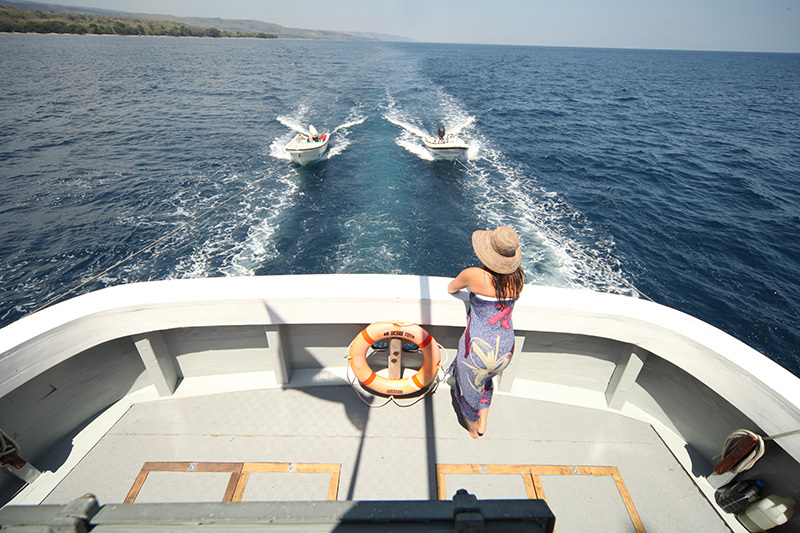 After you board the vessel you will have a chance to settle in before you head off for a snorkel on the lovely reefs that the local area is famous for. 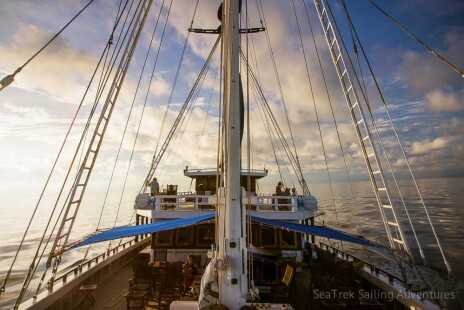 Back on the boat, the captain will give the order to raise the anchor and you will head east in the direction of Sumbawa across the Lombok Strait. This deep trench of water between Bali and Lombok marks part of a very important ecological boundary called the Wallace Line, which was first described by Sir Alfred Russel Wallace, the renowned Victorian naturalist. Wallace noticed that the flora and fauna of the islands to the west are home to Asiatic animal and plant species, whereas the islands to the east of the invisible line have a greater similarity to species found in Australia. As you head east you will enjoy lunch along the way and have plenty of time to relax and settle in your new home for the next seven days. Sunset drinks on the back deck will be a highlight. You will wake up at the beautiful white sands of Kenawa Island in West Sumbawa, where after breakfast you will snorkel, paddle board, swim and explore the island’s beaches, grasslands and corals throughout the morning. After lunch on the boat you will set a course 10 miles further east to Bungin Island, home to a group of Bajau ‘Sea Gypsies’, famous for living in stilt houses above the water and living entirely off the sea. 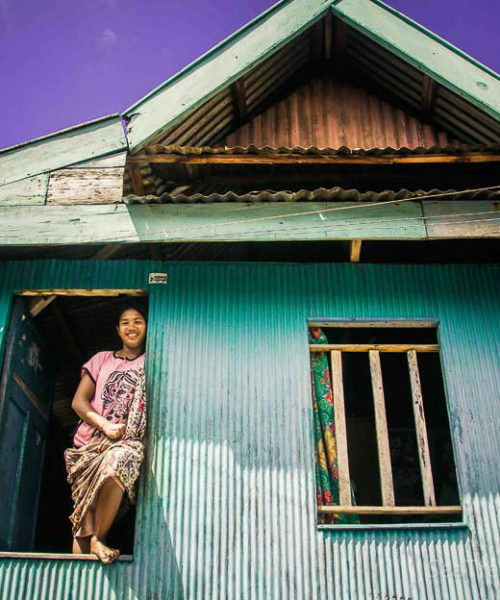 It is the second largest Bajau settlement in Indonesia and will provide you with an amazing and rare opportunity to experience a part of Indonesian culture that is a huge part of the country’s seafaring tradition. Later in the afternoon we will set sail for Moyo Island. 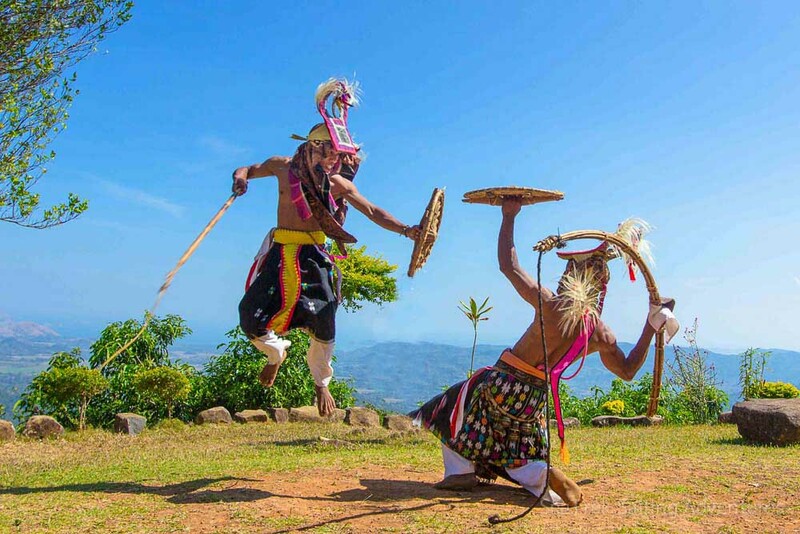 This morning you will moor off Labuan Aji village on the island of Moyo, visit the village and then walk to Diwu Mba’i waterfall, where can swing on a rope and jump into the deep clear river pool below, or simply bathe in the refreshing cool water. 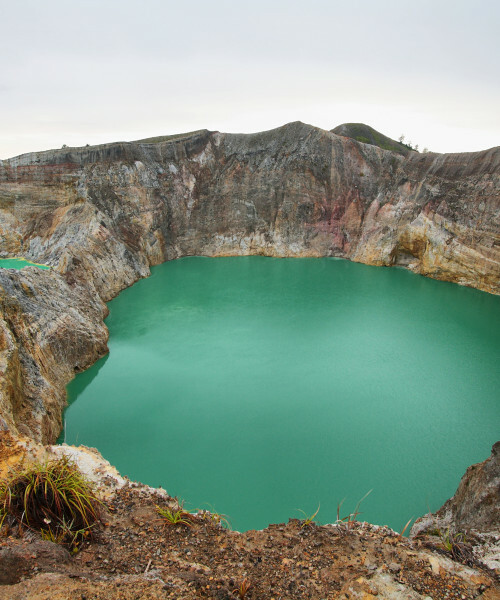 The next stop will be Satonda, a strange and mystical volcanic island with a sunken crater lake in its centre that was filled with saltwater when the nearby Mt Tambora erupted in 1815, causing a tsunami that flowed into the crater. The eruption was the biggest volcanic explosion in the collective memory of mankind; it had roughly four times the energy of the 1883 eruption of Krakatoa, and gave rise to the ‘year without a summer’ because of the effect on North American and European weather. Local people believe Satonda to be magical, and with this in mind, we will walk to the lip of the caldera to view the mysterious lake, alongside which are trees believed to be ‘wishing trees.’ Visitors to the island tie a small stone to a tree and make a wish. If your wish comes true, you are bound to return to the island to offer thanks. The seas surrounding the island are rich with soft and hard corals and colourful tropical fish, so you will spend the afternoon swimming and snorkelling. Another highlight of your visit to Satonda will be the sight of thousands of flying foxes that commute at dusk from the island to feed on the mainland, returning before first light the next day. Immediately after sunset, you leave for an overnight passage on a course due east. 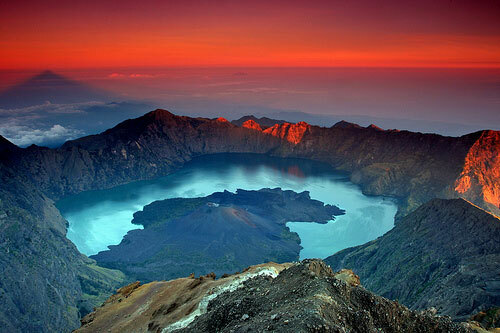 You will wake up off the coast of Pulau Sangean, an active volcano that towers 1,800 metres above sea level. After breakfast, you will go ashore to a small hamlet, which, because of the active nature of the volcano, is only inhabited for short periods during the year when the local people come to tend their crops and small herds of buffaloes, which we can see swimming in the sea. Luckily for us, the local community of boatbuilders on the mainland has started construction of a brand new and very large phinisi boat on the beach at Sangean village. You will have the opportunity to see the process that built both the Ombak Putin and Katharina in action; truly an impressive sight and a marvel of engineering. You will then snorkel on both a nearby reef and a location on the north of the island where volcanic gasses escape in the form of bubbles from the sea floor among the corals, a most interesting sight. You will then proceed to the island of Banta and its pure white sand beach, for an afternoon of swimming, snorkelling and hill climbing for the fit. Later that evening you will proceed on to Komodo dragon country. This morning, the boat will be anchored off the famous Komodo Island, one of approximately 80 islands that make up the Komodo National Park. 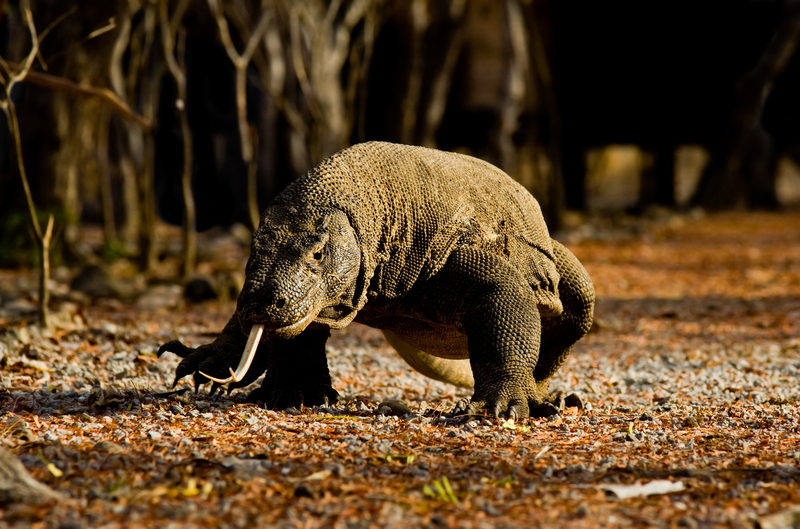 You will go ashore at the ranger station in Loh Liang for an early morning ranger-led trek through the park searching for Komodo dragons. 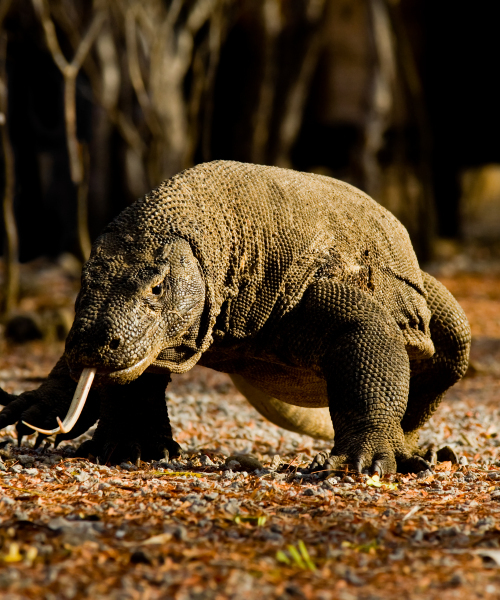 In this savannah-like setting of dry, rugged landscape, we will encounter, at a safe distance, these awe-inspiring, giant lizards – Indonesia’s living dinosaurs. You may spot deer, wild boar, sulphur-crested cockatoos, butterflies, rare orchids, and jungle chickens among the strangle-fig trees and the distinctive lontar palms. After returning to the onboard you will cruise around the coast and visit Komodo village, where you can buy some local handicrafts. Later, you will head to Makassar Reef, where you will look for manta rays, and if you spot them, you can go snorkelling with these gentle giants. Finally head to Gili Lawa Darat for some more snorkelling and a hill climb to watch a magical sunset. Today you will visit the ranger station of Loh Buaya on Rinca Island where you will have another ranger-led nature trek in search of more Komodo dragons, which are indigenous to this small group of islands. Rinca is also well known for its diverse wildlife, so we may spot monkeys, wild buffaloes and deer as well. From the top of the hills, the scenery is breathtaking. In the afternoon, you can go snorkelling on the beautiful Siaba Island, before perhaps visiting the lovely Kelor Island. 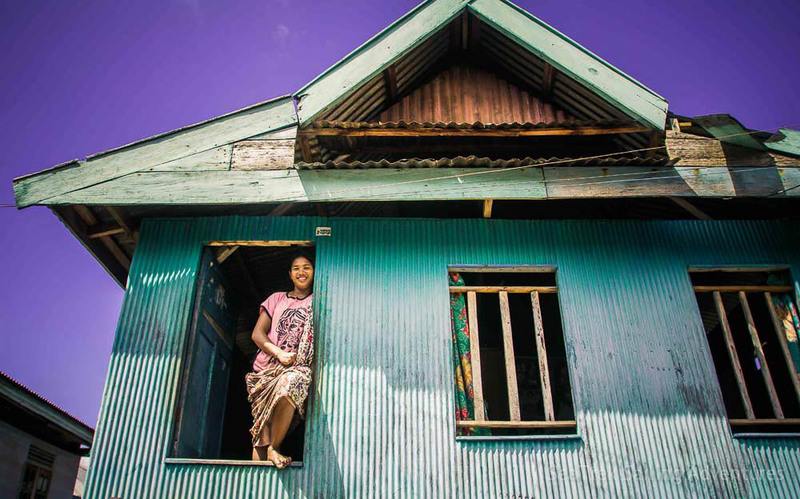 You will also have the option of visiting the adjacent island of Kukusan where you will meet a settlement of ‘sea-gypsies,’ the Bajao people who build their homes on stilts over the sea. That evening you will go ashore to an uninhabited island and get the toes in the sand for a final night’s beach barbeque. With a raging bonfire, great food, dancing and the crew singing and playing guitars, this end-of-cruise celebration. 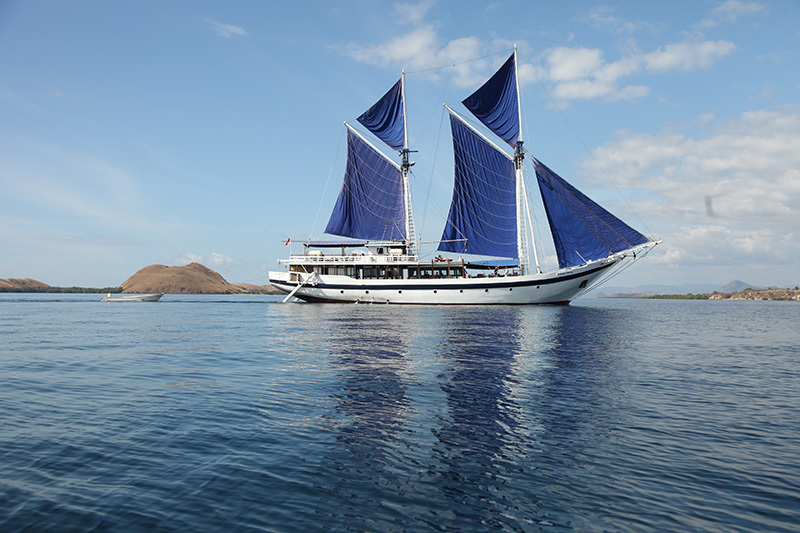 For those early risers, you will have time for one last swim and snorkel, before cruising into Labuan Bajo harbour. At about 9am you will leave the boat for a trip to the village of Melo. 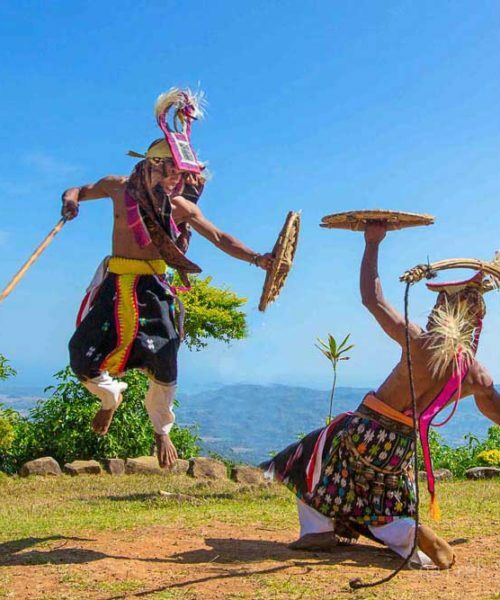 Here, local ‘strongmen’ will perform the ‘Caci,’ a ritual whip-fight between two rivals in which the players, each armed with a rattan shield and a whip, will try to hit each other while dancing to the rhythm of traditional acoustic instruments. The men of Western Flores are famous for this test of daring and skill, requiring lightning quick moves to dodge the infliction of a wound. The winner is loudly applauded and cheered by the village. Besides this, the cultural group will also showcase other traditional dances. After the performance, you will have lunch on the boat before transferring you to the airport for your flight back to Bali. The cost of the 8 days/7 nights trip is £2500 per person (excluding flights) and this includes: Accommodation in cabins with air conditioning, private toilet with hot shower and towels 7 nights live aboard arrangements. Full board with extensive breakfast and two meals per day. Refreshments, unlimited non-alcoholic beverages and soft drinks, free tea and coffee. Unlimited use of snorkelling gear. Unlimited use of sea canoes or other recreational equipment. Use of bath and beach towel. Admissions fees to the National Parks and permits, services of English speaking tour guide. 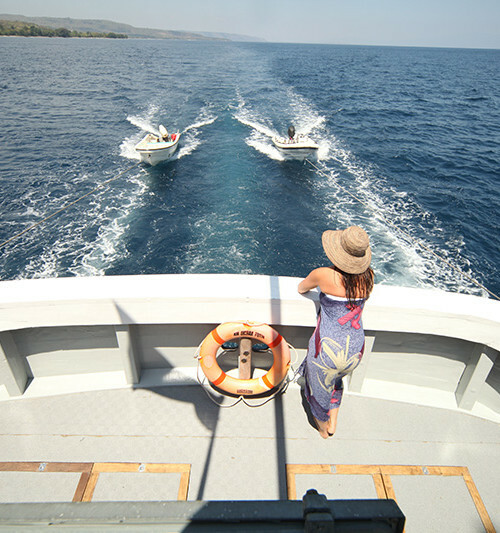 Well seasoned all licensed Indonesian crew of fourteen and an experienced cruise director. You can get flights from as little as £650 per person return and the trip can be easily combined with a week stay on Bali. Every effort will be made to carry out the cruise itinerary as planned, however the itineraries are subject to change at the Captain’s discretion. When touring at sea, weather, currents, and even harbour masters don’t always co-operate with the planned itinerary, which sometimes make the planned schedules challenging or even impossible to carry out. For that reason, the written itineraries must be approached with reasonable flexibility. The Cruise Company reserved the right to make alterations due to circumstances beyond their control and/or other factors, in the best interests of all. It’s part of the adventure! All prices correct at the time of writing. Give us a call or email us at bali@fleewinter.com to discuss your requirements and get a confirmed price.